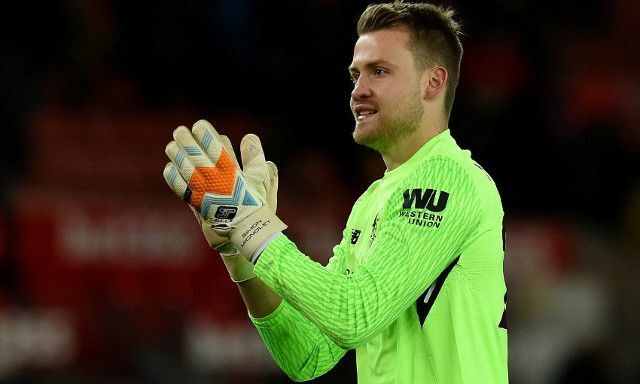 Simon Mignolet has emerged as a January transfer target for Patrick Vieira’s Nice. The Belgian has long been linked to an Anfield departure having seen his first-team involvement regress over the past two seasons. His future at the club was plunged into serious doubt in the summer when Liverpool spent a then-world record fee for a goalkeeper on Alisson, with the Brazilian arriving from Roma for £67million. This followed a season across which Loris Karius had asserted himself as Jurgen Klopp’s no.1 between the sticks, resigning Mignolet to just 22 appearances across all competitions. Having looked the likely candidate to leave during the latest transfer window, it was instead Karius that took his career elsewhere on the back of his torrid Champions League final and the nervy pre-season that followed it. Mignolet has made just one appearance so far this season, starting in the League Cup defeat to Chelsea at Anfield. Belgian newspaper Het Belang van Limburg claim Nice are now eyeing up a move for the shot-stopper following the turn of the year. A mixed start to the season of five wins, five defeats and two draws means Nice currently sit in ninth place in the Ligue 1 table as they seek to build on their eighth-placed finish in 2017/2018. Mignolet sealing a move to France would mean a reunion with former Liverpool teammate Mario Balotelli, who has scored 43 goals in 68 appearances since joining from the Reds in 2016. The former Sunderland man has largely impressed with his attitude behind-the-scenes amid difficult personal circumstances in recent years. A struggle for form and his consequent lack of minutes could have easily left Klopp with an unhappy man in his ranks, yet the 30-year-old has rarely kicked up a fuss. The summer did, however, prove telling in regards to his career on Merseyside fizzling out when he made no secret of his desire to get back to playing regular first-team football.